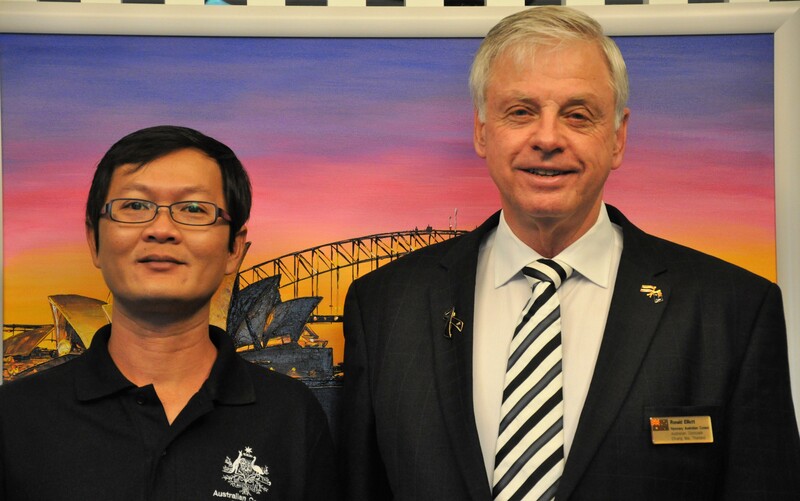 I thought it informative and transparent to share some statistics regarding the work and activities of the Australian Honorary Consul, from time to time; maybe every 2 or 3 months. April was a reasonably active month for the Consulate with 88 contacts/activities requiring 42.5 hours with a client language mix of 84% English & 16% Thai. By comparison March was considerably busier with 108 contacts/activities that involved 36 hours with a client language mix of 73% English & 27% Thai. Australian visa’s: – 29% in March & 15% in April. 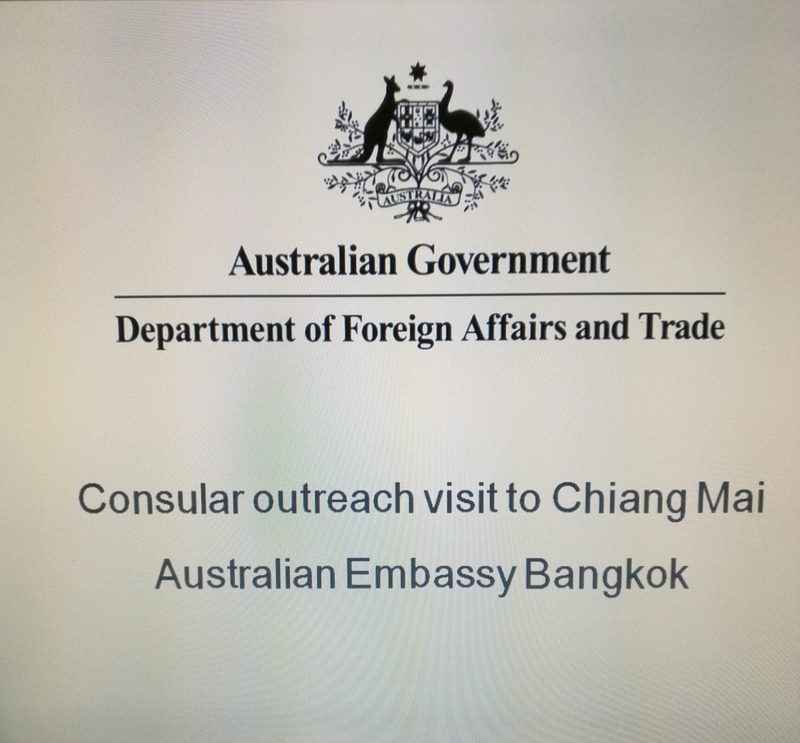 In addition the consulate, on instructions from the Embassy in Bangkok, provided some individual support to a few clients and attended some Consular Corps activities and meetings. Embassy Consular Outreach Program – on the 7 April two members of the consular team from the Australian Embassy in Bangkok came to the Le Meridien Hotel in Chiang Mai to offer some notarial and passport services to Australian’s in northern Thailand. This consular outreach provided assistance to 60 clients across the day from 9 am to 3 pm. This outreach program happens about every two (2) months with the next one scheduled for 9 June 17. You can learn more about this on this link: Embassy webpage. 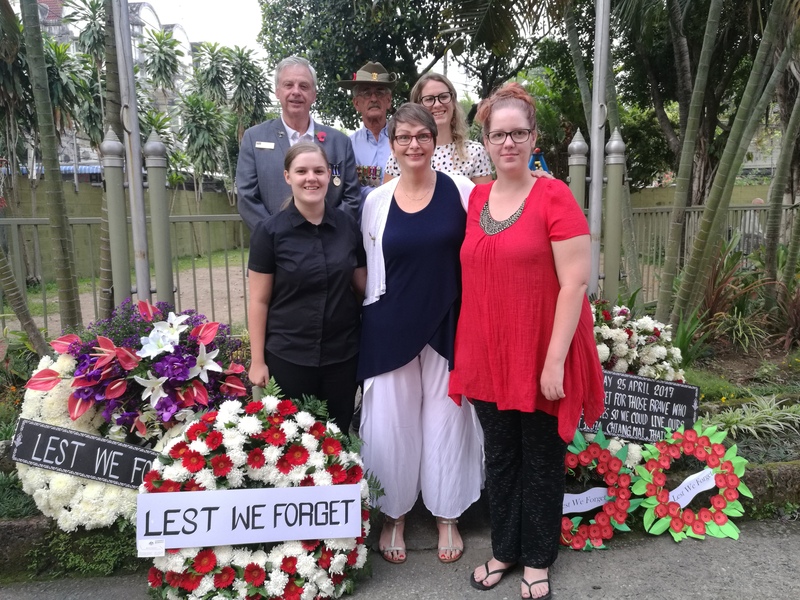 ANZAC Day 2017 – I was asked in March if I know about any ANZAC Day activities in Chiang Mai. Initially I wasn’t but decided to make inquiry’s and through some research found that for over 10 years now the House of Praise International Church has been conducting a dawn service followed by an Aussie BBQ breakfast. There was a separate post about this event that you can check out here. – Preparations for Immigration Meeting – The Commissioner of Immigration Police requested an opportunity to meet with the Consular Corps of Northern Thailand to chat informally about immigration issues. The Consular Corps meet to consider the main issues to raise with the commissioner in order to present a comprehensive list of concerns. The meeting was held on 4 May 17 – more on that in a separate post. – Chiang Mai World Fair 2018 – an initial review and future planning meeting was held between the Provincial Government and the Consular Corp during April. The main topics on the agenda involved a review of the 2017 Fair, considerations for date and location for a possible future event. Considerable discussions took place around the past event, the pro’s and con’s of the organisation and functioning of the Fair and how involvement in a future event might take place. Based on discussions the Chiang Mai Government representatives agreed to further explore some of the issues and options with a view to meeting with the Consular Corps again in a few weeks. There was indication that the Provincial Government would write to all Country Embassies to signal the likelihood of a future World Fair during 2018. Here are a few of the planned Consulate activities through May and June – so far! Hopefully by sharing this information the responsibilities and activities of the Honorary Consul are better understood.